Some International students seem to struggle to meet new people and especially to meet Norwegians. Studvest reported this before and asked students about this issue on the occasion of the International Week. It happened for the first time this year and was organised by SSL Bergen, ISU Bergen and the Tenants Union Fantoft (TU Fantoft). 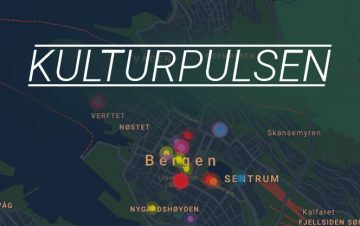 – The intention is to bring international and Norwegian students together through sport, food and music, explains Osei Kontor, leader of the TU Fantoft and CEO of SSL Bergen. He is one of the organisers behind The International Week which took place a couple of weeks ago. It consisted of a food-competition on Thursday, a free concert with music groups from different countries playing at Klubb Fantoft at Friday and a football tournament on Saturday. FOODIES. 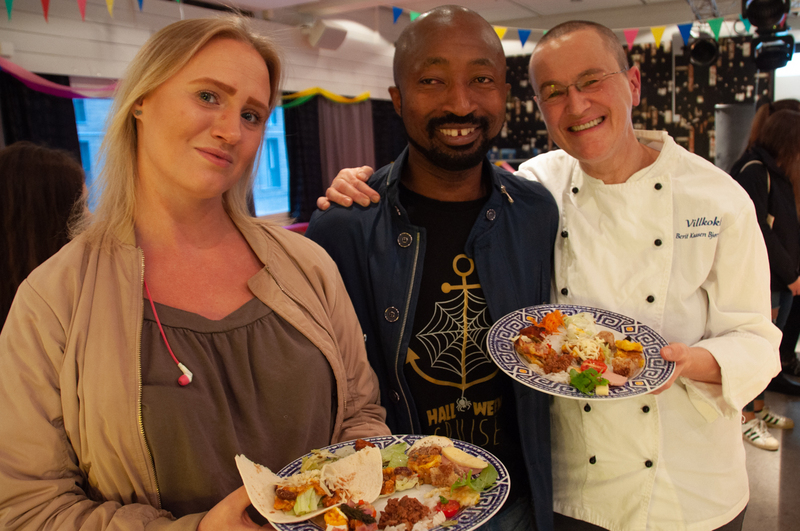 Malin Louise Rønningen, Dennis Osei Kontorand Berit Kaasen Bjørnholt were the organisers of the food competition. – It is always easier to get together through a common interest or activity. 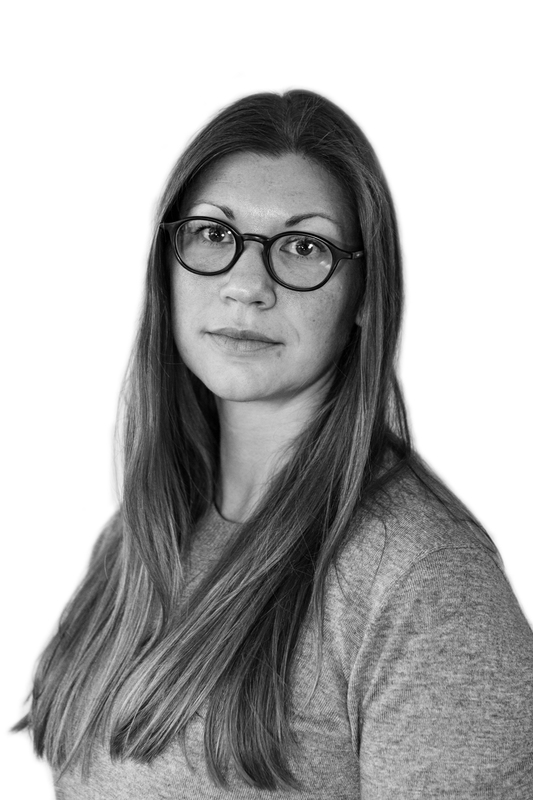 It is a good opportunity to meet people all over the world, says Kontor. 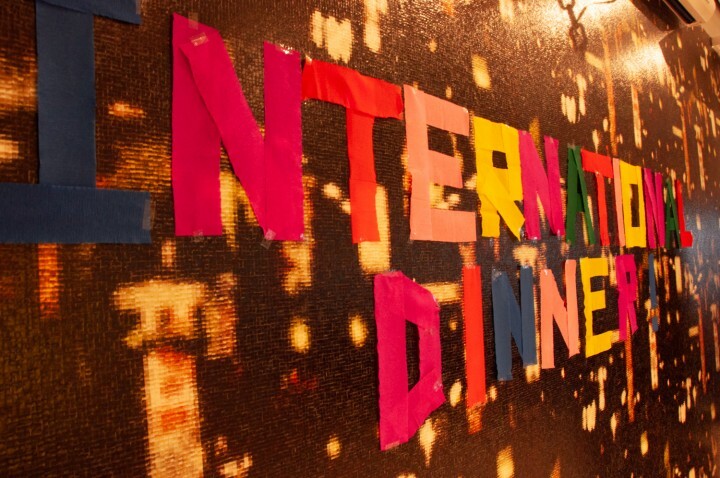 The food competition was composed of different groups of people presenting a typical dish from their home country. Therefore they were standing behind tables, formed in a circle so everyone could walk around and take a look at all the dishes. A jury of a few people tried a piece of every dish and decided the winners. The price was, of course, food. 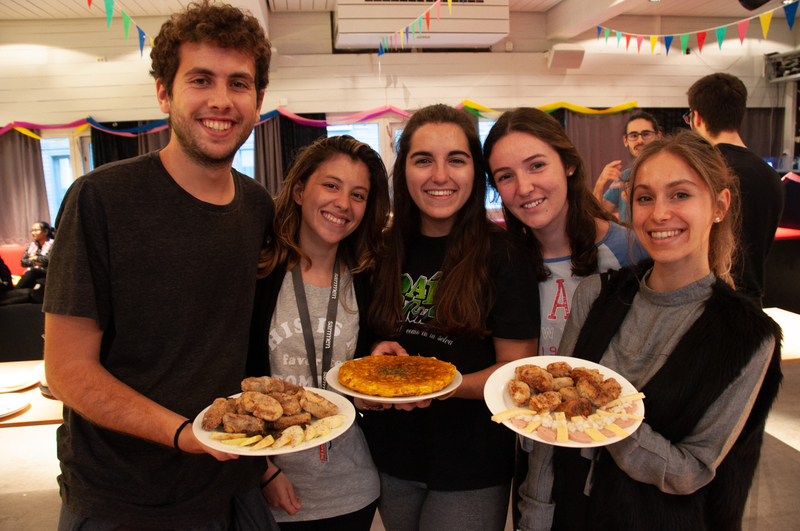 Andrea Menendez, a law student from Spain, won with her group by making a Spanish omelette and croquettes out of ham with cheese and apple with raisin. CHAMPIONS. Luis Gómez, Beatriz Perez, Maria Fernández, Carla Oliver and Andrea Villar won the competition. – I feel really comfortable in this multicultural environment and find it easy to meet Norwegians, says Menendez of the event. She says that meeting Norwegians is a matter of being open, joining events like this one, and getting involved in organisations. Don’t just stay in your group. Get out, she recommends. Kamilla Idrisova, a social science student from Russia agrees. – Get involved in things. It doesn’t matter if it´s in Norwegian. Everyone will be motivated to translate things to English. They are happy about international students. Idrisova said this while she is sitting at one of the couches around the table enjoying the food and talking to both friends and strangers. FUN. Kamilla Idrisova (right) enjoyed the event with her friend Ria Himmatramka. She herself volunteers at Kvarteret. 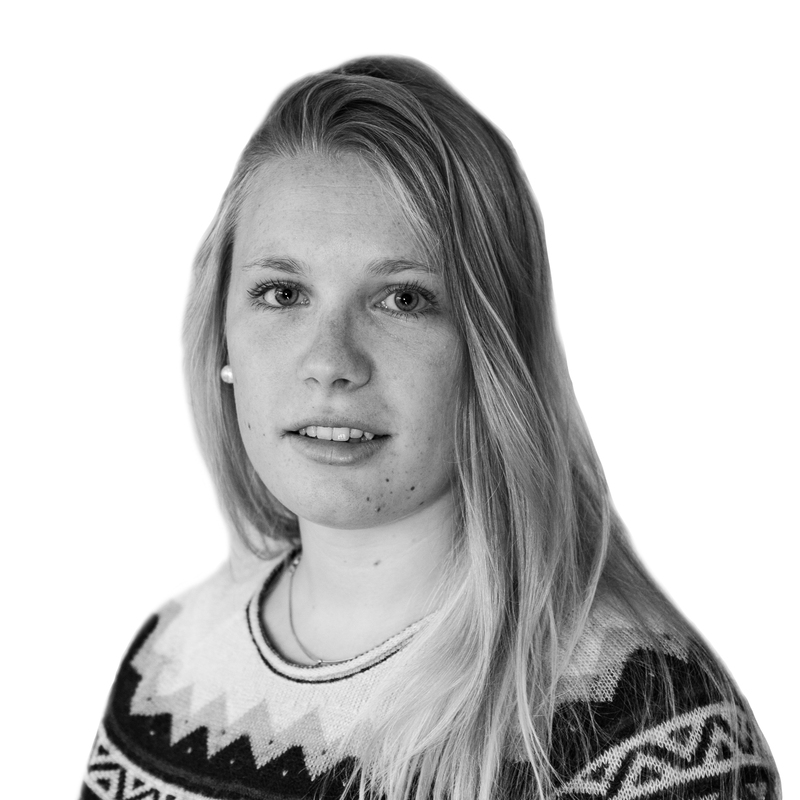 – I meet a lot of Norwegian students there who share their experiences and culture with us internationals. They give advices about nature, weather and transport. I’m really excited about that because it is so unexpected, Idrisova. But not everything happens at organised events. Lukas Hageneder, a physics student from Austria, uses the everyday life to get to know Norwegians. – It is not only the set-up stuff. It’s also easy to just talk to the Norwegians at classes. But if you don’t get out of Fantoft, you will stay in the international bubble, he said while he put some pumpkin seed oil, which is typical Austrian, on the salad he prepared with a friend. Menendez thinks it is worth going out and meet some Norwegians. – I think the culture is very different than mine. People are more polite, quiet and peaceful. Even if it can be different at the beginning, Hageneder says. – First they seem to be not that open-hearted. But this changes if you get to know them better. The event didn’t just consist of the students presenting the food. 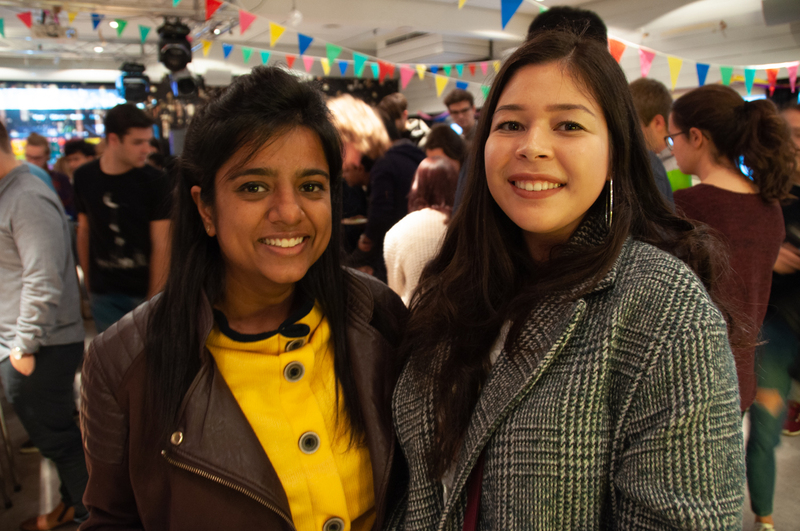 The room was filled with both Norwegian and international students, some just for the free food, others to socialise with new people. But they all used the chance of getting to know different cultures while being abroad.